Sheet music for most Bryan Moyer Suderman songs is available in electronic (pdf) format upon request. The pdfs include melody notation/chords/lyrics. Please contact us to request a pdf of a specific BMS song from any SmallTall Music album. Songs from the My Money Talks: Songs for Worship collection are available in printed form, as a spiral-bound, 72-page book, featuring full piano accompaniments, vocal arrangements, and lyrics and chord charts. Includes reproducible pages for congregational singing. Purchase with cheque from SmallTall Music. 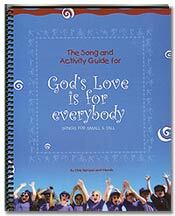 The Song and Activity Guide for “God’s Love is for Everybody is out of print, but a scanned (pdf) version is available, as are pdfs of individual songs, upon request. 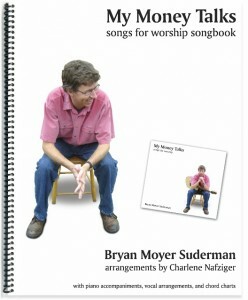 Please see the “Church Music Licenses” page to find out how to acquire a license for use of Bryan Moyer Suderman songs. The process is quick and easy, and the license is good for the lifetime of your congregation/organization.